HA NOI (VNS) — Party General Secretary Nguyen Phu Trong yesterday called for serious introspection on the degradation of "culture and social ethics" that has happened despite economic progress and improvement in living conditions. The party leadership should think about this issue, identify reasons and find appropriate solutions, he said in his opening speech at the 9th plenum of the Communist Party of Viet Nam Central Committee in Ha Noi. In his speech, Trong highlighted four main issues for participants to ponder and discuss: Continuing the ongoing renewal process while promoting national culture; Reviewing implementation of the Resolution on building and developing an "advanced Vietnamese culture with deep national characteristics" adopted at the 5th Plenum of the Party Central Committee (8th tenure); Preparations for the 12th National Party Congress; and inter-Party election regulations. Trong said the resolution passed at the 5th plenum was of "strategic significance as it covers all basic issues for development of our culture in the new stage. "It is time for us to review what has been achieved over more than 15 years since the resolution was adopted so that we can come up with good and workable policies and decisions to continue the renewal process," the Party leader said. He added the review would help the Party better respond to the national cause of industrialisation and modernisation as well as actively strengthen international integration. Trong asked meeting participants to focus discussions on lessons learned in the past 15 years. 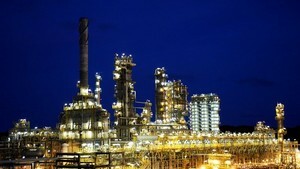 "You should focus on finding answers to the question: The national economy has recorded much progress. So have the living conditions of the people. But our culture and social ethics have been degraded, in certain aspects, seriously. "If you agree, what are the reasons? Because of the policies? Inappropriate measures"? Poor awareness among the people? Poor implementation of the resolution? or other (reasons)? Members of the Party Central Committee should come up with specific recommendations on revising the resolution that can help meet the country's "new requirements of rapid and sustainable development in the new stage," Trong said. He noted that the 12th National Party Congress, a very important political event for the Party and the nation, will be convened in early 2016. The first draft outline of the Political Report and the Socio-Economic Report for the 12th Party Congress will be presented at the plenum for the participants to discuss and give their comments, he said. "The draft outline just gives you the orientation, with various options introduced for further discussion at this conference. The compiling team will then re-write it. The second draft will then be discussed at Congresses of Party Committees at all levels. It will then be finalised by the Party Central Committee before presenting it at the 12th National Party Congress." Trong also asked plenum participants to discuss thoroughly the regulations on the organisation and activities of the Party as well as the Party Statute. "This is very important in making our party strong and united and maintaining good discipline," Trong emphasised. "Election regulations must ensure all party members cast their votes. The principle of democracy must be held high within the Party. This is a guiding principle making our Party become united and disciplined with high consensus," Trong said. Other topics that will be discussed at the conference include a final evaluation of the pilot project on not having People's Councils at the district/ward level and the rights and obligations of 10 provinces and cities directly affiliated to the Central Government. 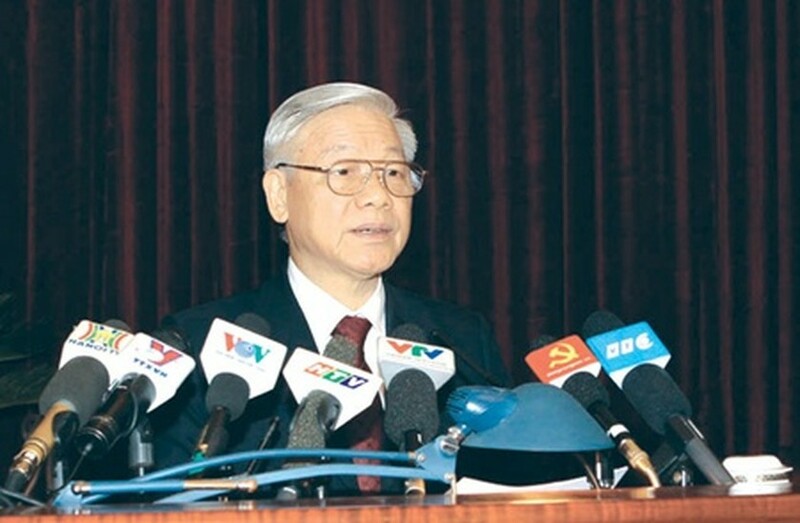 Trong noted that a decision taken last year to hold votes of confidence on the performance of Party Committee members at all levels, senior leaders of Party Committees and government offices, the Viet Nam Fatherland Front and political and social organisations nation-wide has won high acclaim from the general public. "However, we need to draw lessons (from this exercise). So, at this conference, the Politburo will present a report on this activity to the Central Party Committee for consultation and ask for permission to continue to hold votes of confidence in the years to come," Trong said. He asked the participants to discuss in particular the timing of such votes, their content and voting procedures.